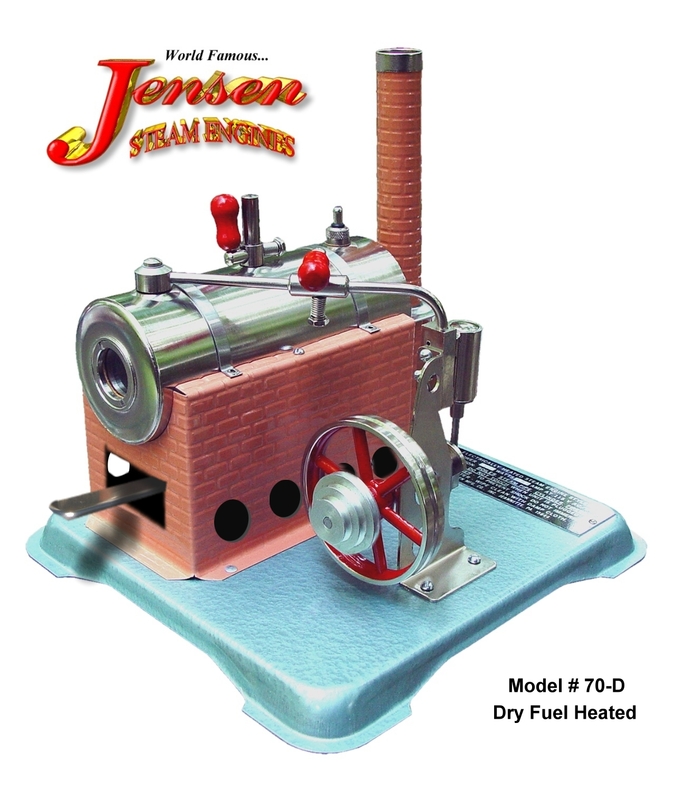 The highest RPM dry Fuel heated engine that we make. 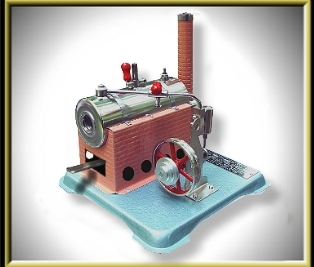 Unique, vertical, double-acting oscillating cylinder engine with a 2-1/2 x 6 boiler, 2 speed pulley, Our most requested engine for the school sciences, physics & fun is now available in a Dry Fuel Fired configuration!!! Includes pop valve, whistle and throttle.